WE HAVE A DEMOCRATIC RIGHT TO PROTEST! 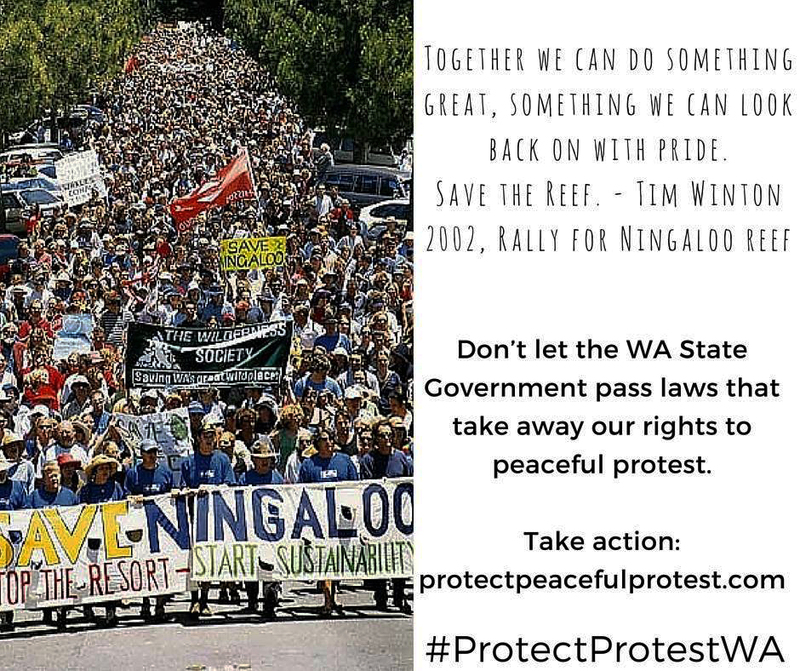 It’s a long time ago since I took this photo of the Save Ningaloo march coming down Essex Street in Fremantle, but the protest movement reinforced with me that civil disobedience and peaceful and lawful protest is sometimes necessary to wake up our politicians and make them represent the wishes of the community. It is our democratic right to protest and that right should never be taken away from us! The present Perth Freight Link protests are also very important for our State and Federal governments to not do things in haste, reflect, find real solutions, better traffic management and do long-term planning for an outer harbour. Comments Off on WE HAVE A DEMOCRATIC RIGHT TO PROTEST! 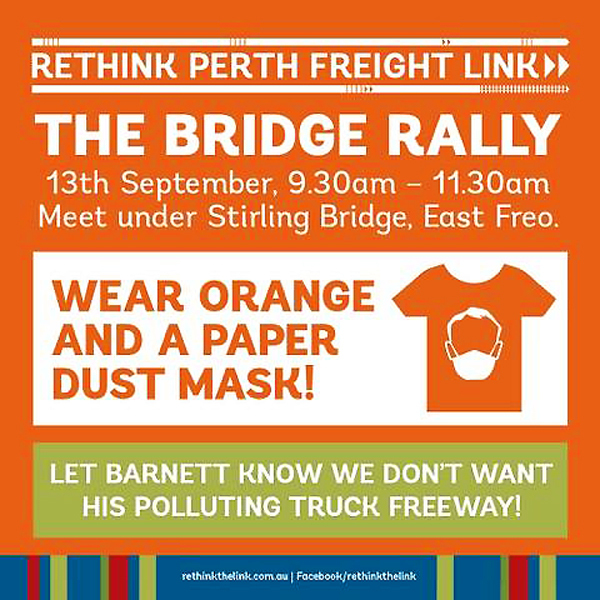 ANTI FREIGHT LINK BRIDGE RALLY ON TODAY!!!! ON TODAY! The BRIDGE RALLY against the PERTH FREIGHT LINK! Comments Off on ANTI FREIGHT LINK BRIDGE RALLY ON TODAY!!! !